The American Girl Spot: A Very Special Opportunity! 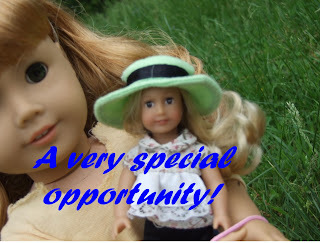 Send in a picture of your doll or your doll with her doll to cupcakecustomsag@gmail.com by May 31. You may have up to three pictures, but no more. You may also send in a short stop-motion that is no more than 15 seconds long, and without any sound (there will be music in the video). Photo collages are fine, too. Please put 'World Doll Day' in the subject line, to ensure yours gets in. Remember to include your name as you want it to appear in the video, and if you want, your dolls' name, and/or your blog. If you are under 13, you should ask a parent's or guardian's permission. Have fun! I can't wait to see what you guys send! Yay! I'm so excited! I'm also planning something for world doll day! Cool! Maybe I can include a link when I post the video! Cool! I hope to send some pictures in soon! Thank you! P.S.-I love the way you write your name! 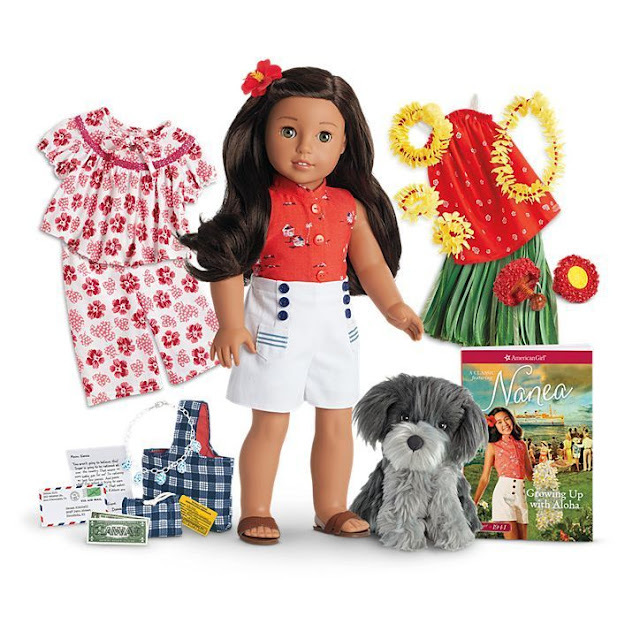 Follow The American Girl Spot by Email! Join All These Totally Awesome People, And Follow! Nanea ENTIRE COLLECTION on Ebay! Write To AG; We Need A Homeschooled Doll! LAST Day to Send In Picture For WDD! Reminder; Send in a Picture For World Doll Day! We Fought For Quality AG-And We Won!!! Doll Craft; How to Make an AG-sized Fish Tank! The Fabulous Fashion Show With Joy and Her Dolls! Review of the Tenney Grant Mini Doll! Review Of The MLA Strawberry Swimsuit! Click Here To Go To Anna's Blog, FromADollsPerspective! Let's Talk; If You Could Put Freckles on Any Doll, Who Would It Be? Let's Talk; What Is Your Favorite AG Doll Outfit?